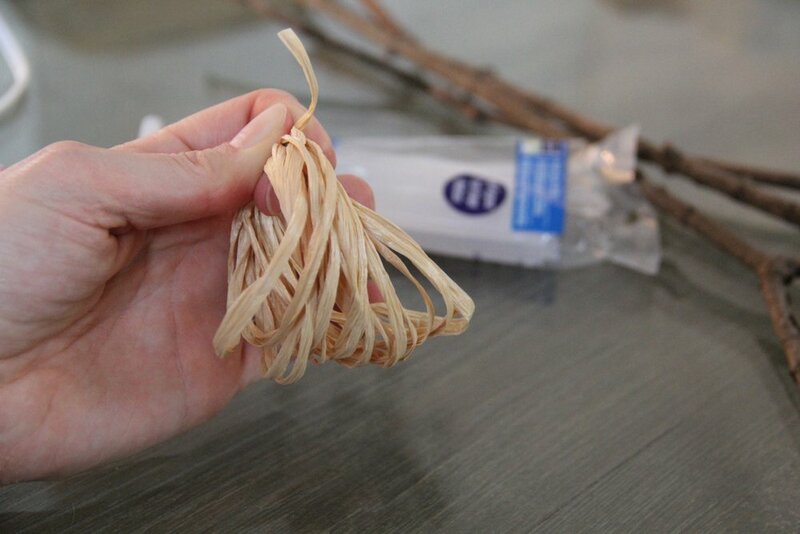 Practical applications for turning your house into a home. I've never been a big halloween person. I have always liked the holiday and have great memories growing up trick or treating with all of my neighborhood friends, but celebrating this holiday as an adult never seem to be a priority for me. Well, that is until this year. My office floor at work just so happens to be filled with a large number of halloween enthusiasts. For the past few years one side of the floor has participated in a Halloween office decorating contest that grown into quite the elaborate competition with each passing year. This year, my side of the office was invited to participate in the floor decor competition. Naturally we all jumped at the opportunity to participate. The one hiccup on my team was that our boss was going to be on vacation the week we were scheduled to decorate, but graciously offered up his office to decorate for the competition. I think that's the last time he will ever trust us with the keys to his office for an event like this. We ended up creating the most fabulous and elaborate, roach infested (400 fake roaches to be exact) doctors office complete with a dead body on his desk and fake blood splattered practically everywhere. As if that wasn't enough, we also created a dessert buffet for the judges including spider web cupcakes and candy corn rice crispy treats, which I am sharing today in this post. In addition to the office decorating competition, the floor also decided that it would be fun to have a pumpkin decorating/carving competition as well. My team and I were in it to win it and immediately turned to Pinterest for a few pumpkin ideas. We ended up settling on a movie theater pumpkin scene (pictured above) that was inspired by this picture, courtesy of Brit + Co. In the end, my team came in second place for the office decorating competition and first place in the pumpkin carving contest. Truth be known, we ran unopposed in the pumpkin competition, but I was still really proud of the masterpiece we created. Most of all, I think I surprised myself at how into Halloween I got during this competition. We had a great time working together and are already plotting and planning for next year's floor competition. 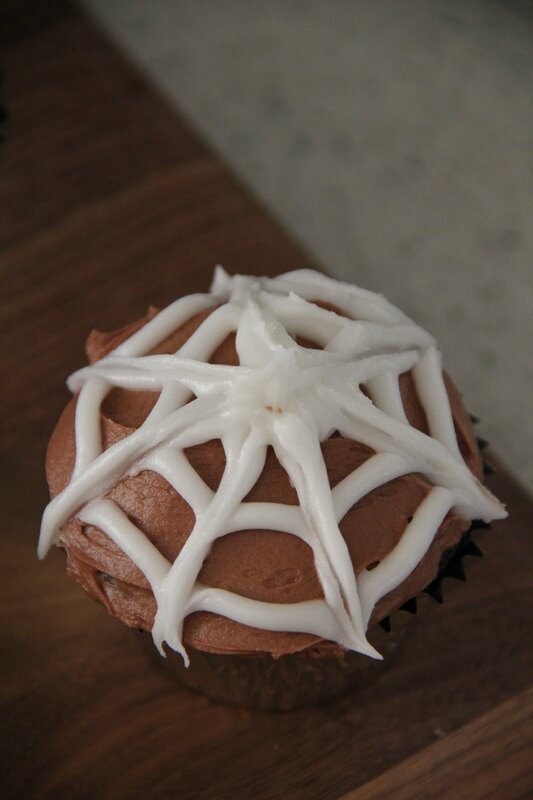 For today's post, I couldn't resist sharing two easy Halloween dessert ideas that I am loving this year as well as the cutest idea for a Halloween hostess gift. I hope you all have a wonderful and treat filled Halloween! See this post from pintsizedtreasures.com for the complete how-to guide (plus video) on how to make these absolutely delicious treats. 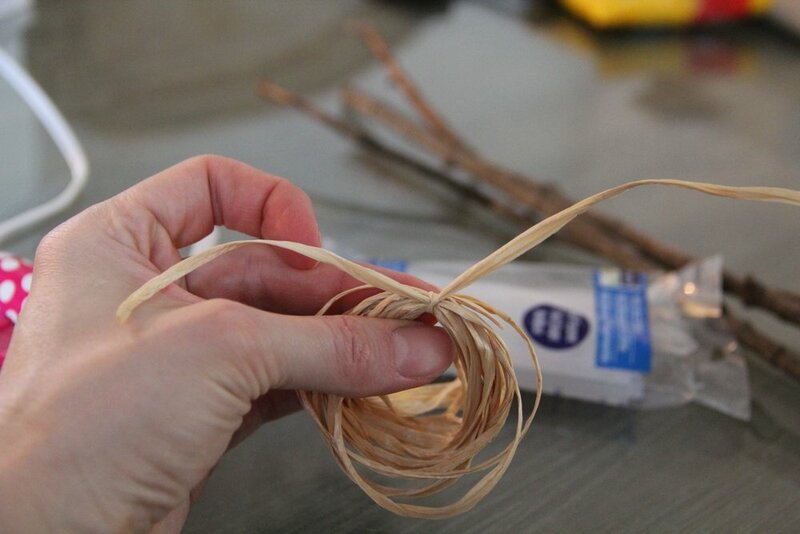 **Note- Each cupcake must be piped one at a time and toothpicked before moving on to decorating the next cupcake. 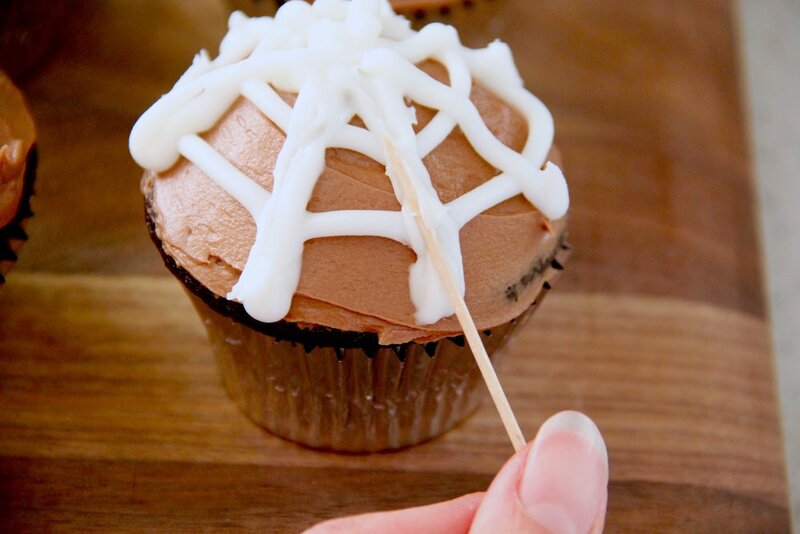 The decorating icing dries quick, so if you wait too long to drag the toothpick through, it will crack and you won't achieve a fluid looking web. 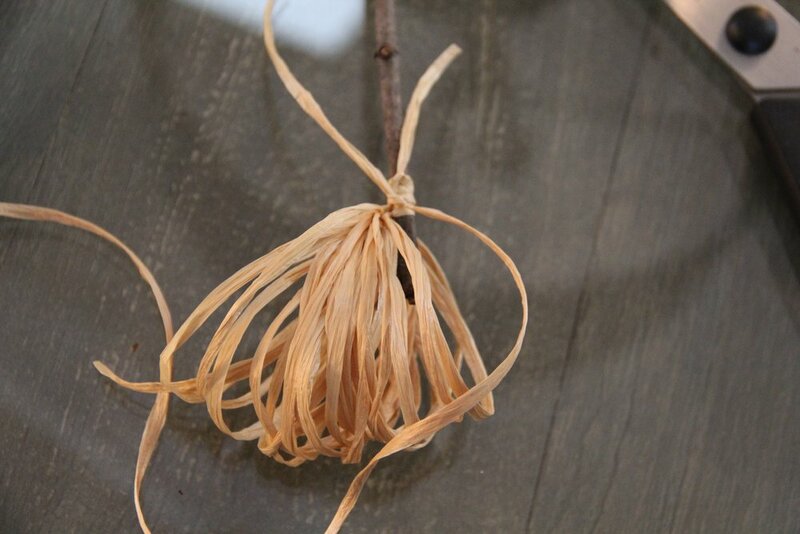 Wrap raffia ribbon around your 4 fingers 20 times. 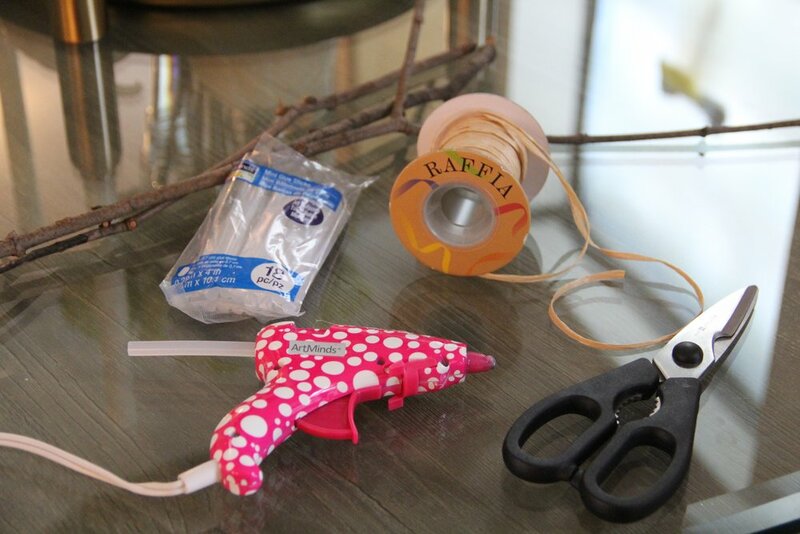 Cut another piece of raffia ribbon (8-12inches) and wrap that piece along the top of the attached coiled ribbon and stick to tightly secure (optional- use a hot glue gun for this step). 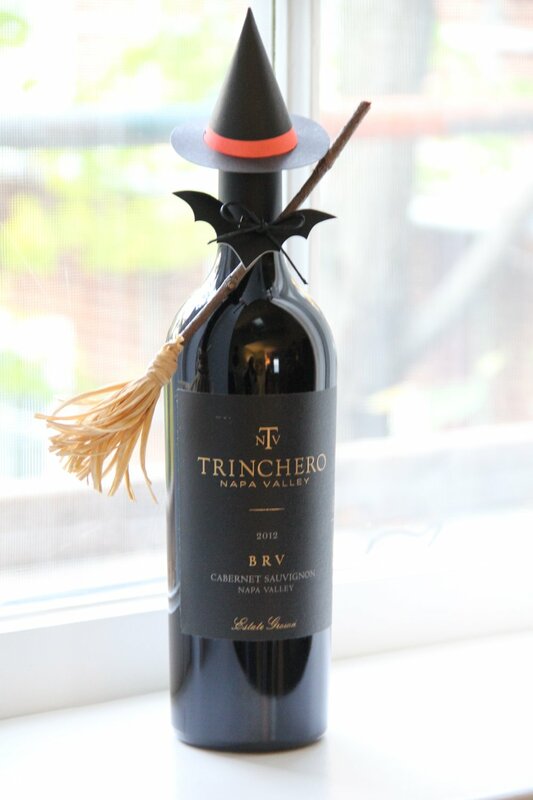 Use a piece of black raffia ribbon to secure the broom to the neck of a wine bottle, like my latest obsession pictured in this post Trinchero Napa Valley BRV Cabernet Sauvignon (literally to die for, so delicious! A quintessential Fall wine for sure!). Top wine bottle with a mini witches hat from Meri Meri Party. Follow Callie Cagney's board Home Decorating on Pinterest. © 2016 Redefining Domestics. All Rights Reserved.